The perk of expanding my food blogger friend circle (A LOT) this year is quite obviously even more fabulous recipes. I seem to have only put one solitary booze recipe on here so far, so let’s spice things up a little bit with a little eggnog, shall we? Eggnog in the C family house is definitely non-boozed, mostly because it’s served at breakfast, but as we all know, breakfast with booze is just brunch. So let’s bring on the booze and eggnog for the holidaze!! Coming at you with this wonderful recipe is my friend Maris, blogger extraordinaire at In Good Taste, mom to the cutest little love nugget of a dog I’ve ever seen, and all-around amazing person. This recipe is super easy, but don’t think you don’t have to stop by to visit Maris’s site for the full instructions. There’s no way you can get it quite as perfect as she does without the full set of instructions!! For the full recipe with instructions, visit Maris at In Good Taste! But do you know how much I love Lambrusco? It’s a sparkly semi-sweet Italian red wine that’s perfect for basically all occasions, but (in my humble opinion) is grossly underrated. Thank goodness for the wonderful and totally lovely Kit Graham of The Kittchen. 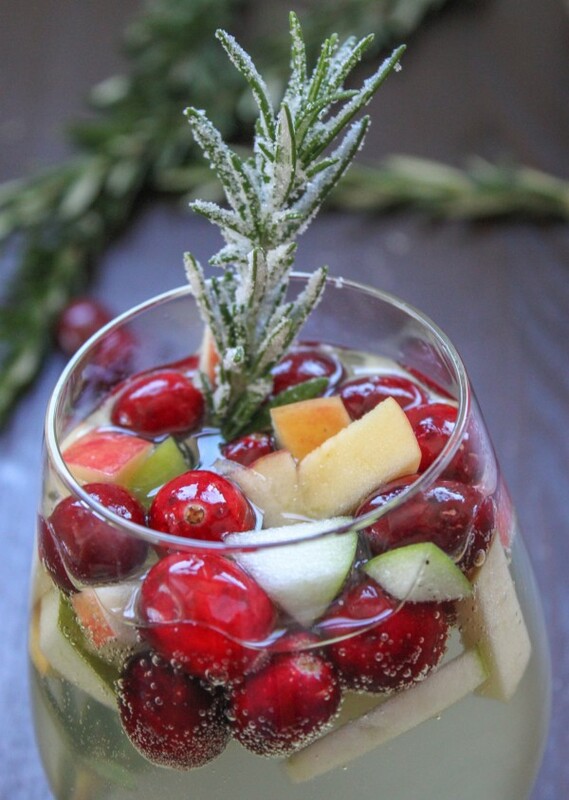 She’s got us covered with THE perfect Lambrusco Sangria with amazing seasonal ingredients, and I, frankly, can’t think of anything better to serve for the holidaze! For the full recipe and instructions, you must visit Kit over at The Kittchen!! I’ve made homemade, from-scratch sangria exactly one time in my life. It was for my BFF, Liz, on her birthday, and it took kind of a long time for a thirsty crowd. I think the worst part was that I had to make simple syrup on the stove…in August. This sangria doesn’t require any simple syrup – just a bit of sugar. It looks so fantastic and refreshing! 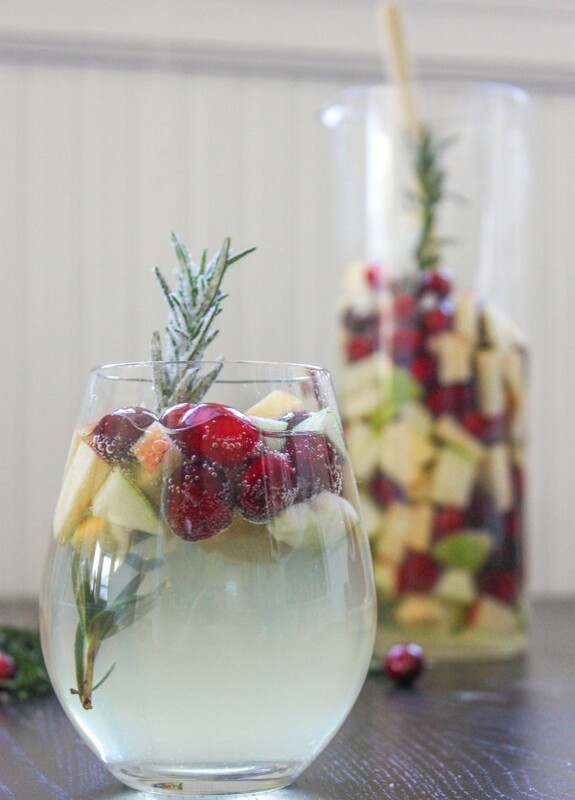 Because sangria, as the author of the original post notes, is “pretty much chop, pour, stir, get drunk,” I’m not going to list the ingredients. 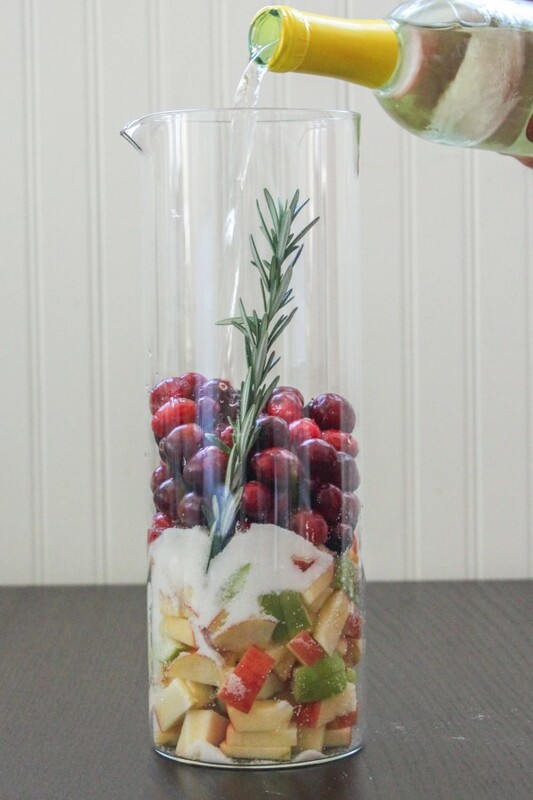 Please visit Stoned Kitchen for the full sangria recipe and instructions. Images courtesy of Stoned Kitchen.